Sayonara Umihara Kawase recently got a PC port. 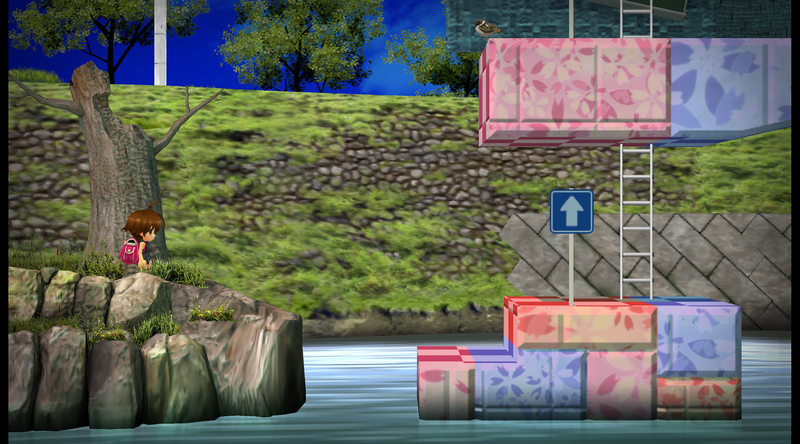 I was pretty enthused about this since I like quirky physics platformers. Sadly, the port turned out to be resolution locked in perhaps one of the worst ways seen to date. 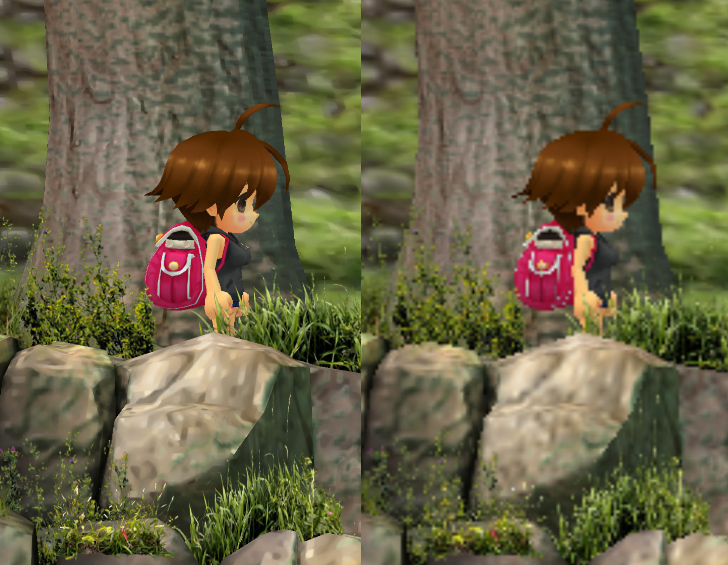 People believed it to render at 960×544 (Vita resolution), but the truth is even stranger. Anyway, this sunday at around noon I thought I could give fixing it a try, given that the game should be DX9 according to the Steam requirements. Well, after buying it, the first thing I learned was that it is actually DX11. This turned what I was hoping for would be a quick fix into a longer struggle, but nonetheless I managed to unlock the resolution (it’s what I do after all). In the process of that I also learned that internally, the game actually renders to a 896×512 portion of a 1024×512 rendertarget !! That’s, IMHO, even more insane than the 960×544 1:1 Vita port people expected. However, the background texture, specifically the bricks on the right, are really really awful. Too awful to be truly improved by anything other than someone going in and replacing them with a redrawn version, but nonetheless I was apparently hyper-motivated today so I tried. I integrated the texture scaling code I wrote for PPSSPP a while back into GeDoSaTo, and (somewhat surprisingly to me) even managed to apply it to Umihara without making everything explode. It’s very limited in when it works right now, but there’s nothing in principle preventing it from being potentially applied to all kinds of DX9 and DX11 games if there is a desire for that. Which clears up the pixelly mess of bricks slightly, though obviously you can’t expect miracles from an automatic process. I started at around noon, and what I intended to be a fun few hours coding romp leaves me here at 22:40, but I think it was worth it. I hope the other 2 people who are both into ultra-niche Japanese physics platformers and rendering quality enjoy it! All of this is integrated in the latest version of GeDoSaTo, 0.18 “Disharmonized Genesis”. You can get the latest version with the installer provided here. And, as always, you can donate to support GeDoSaTo development here.